If you’re a fan of Game of Thrones you’ve probable spent a few nights in front of the television curled up with your cat, dreaming of riding into battle with your feline friend. Well Jwall of the YouTube channel Print That Thing apparently had that fantasy, too, and he took it one step further. 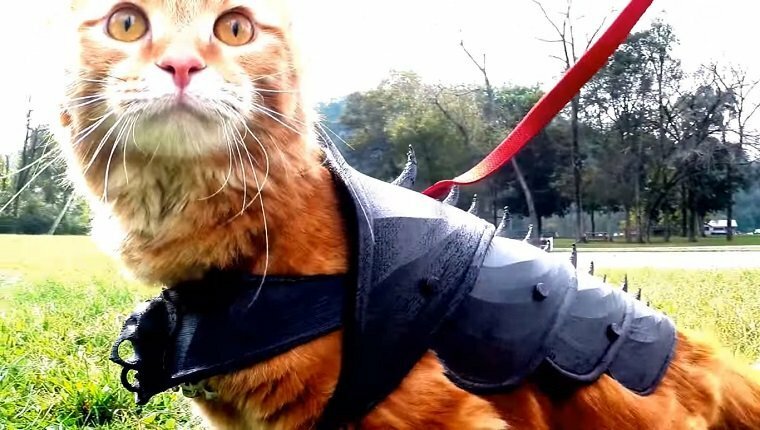 He created 3D printed battle armor for his cat. 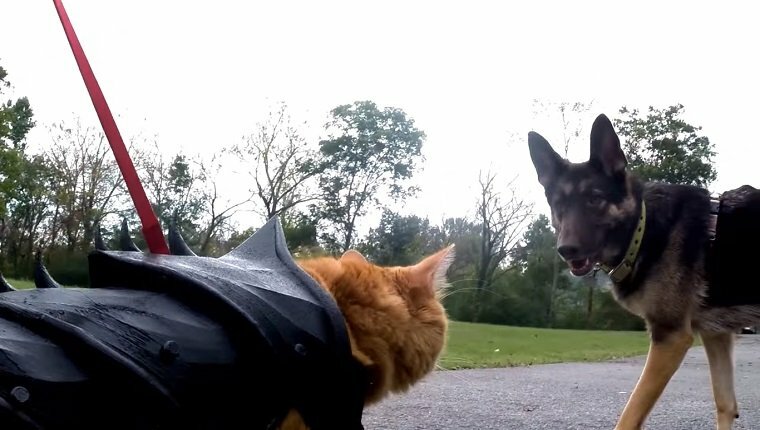 It started when Jwall’s cat Bobo requested some battle armor to protect him from the dangers of the world, or at least to function as a cool Halloween costume. So Jwall set to work, creating prototype sketches before moving to computer generated 3D modeling. Finally, it was printed out with a 3D printer and assembled. And it looks awesome! The design has a place for a name tag on the front and a hole in the back for a leash to slide through and attach to a harness if your cat is the type that likes to go for walks. 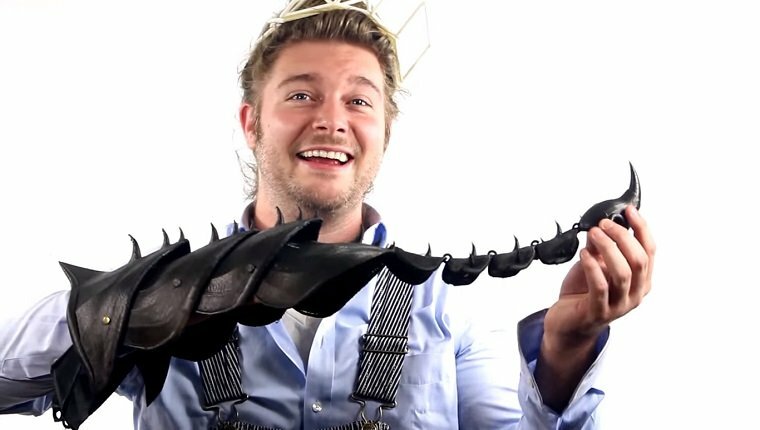 Jwall would like to see a design for a helmet to go with the rest of the armor, so he called for his followers or anyone who sees his video to contribute and create a design. Bobo looks like he could take on a whole army of dragons now! Would your cat wear battle armor? Would you like to see more 3D printable items for cats? Let us know in the comments below! Is It OK To Dress My Cat Up For Halloween?